Our new collaboration, unique scarves made with superlative weaver Begg, launches Wednesday next week. You can follow the discussion on Teaser: Permanent Style scarf collaboration by entering your email address in the box below. You will then receive an email every time a new comment is added. These will also contain a link to a page where you can stop the alerts, and remove all of your related data from the site. Forget the scarf, that is lovely piece of knitwear you are sporting there. 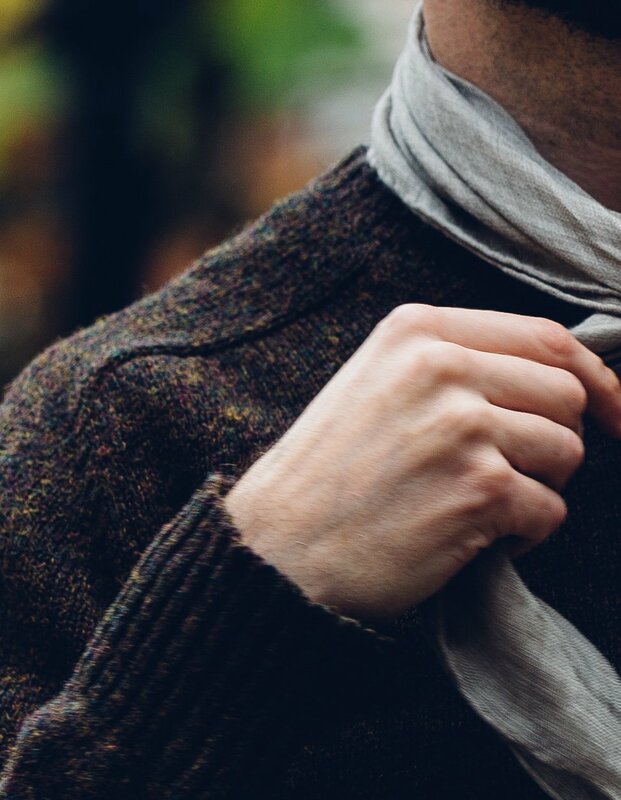 Can a sweater really have provenance? I do agree, though, it looks lovely. Thanks guys. The scarves are amazing too, wait and see…. Scarf looks amazing, count me in. i know its going to be fantastic. I love my Kishorn. Makes such a nice change from the bulky itchy heavy merino ones i used to wear. Don’t forget you promised us a note on neckerchiefs too!